I can keep quiet no longer, I and a number of other people know the true reason why Fraser from AffiliateBlog.co.uk is so knowledgeable about Affiliate Marketing. It is because he is cutting the skulls and taking all the Affiliate powers from the finest people in our industry. 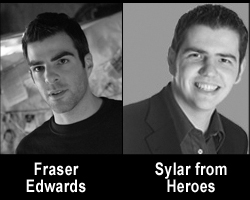 Here is the proof, Fraser is Sylar from Heroes. Its all true. Please don’t eat my brain!! Wasn’t Fraser also in 24 a few years back? I cannot believe this, Fraser has had us all going all this time … he’s really Sylar. Is that guy also in 24? Ahhhh so that’s it! I often wondered you know, but never made the connection until now! That explains my splitting headache!